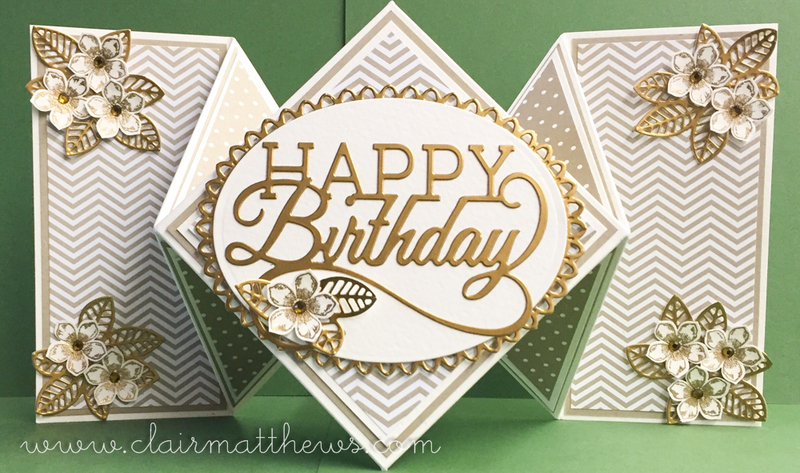 Clair Matthews: Diamond fold card..
...as you know last week at my workshops we made a diamond fold card. well on our 'paperettes' facebook group we challenged each other to make another one & share it for inspiration. ..I made the card bigger this time, at workshop our finished card folded to about a 4"x 4" card where as this one now is about 6"x 6".. I do love the way they turn out though & when boxed they look very impressive. 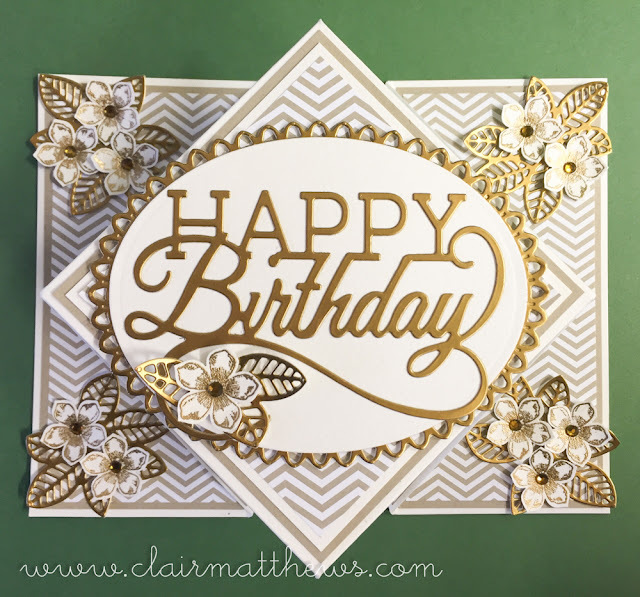 I used stampin up papers to decorate mine along with gold embossed flowers & leaves.. the sentiment is a die by Tonic studios. I hope it inspires you a little & I'll see you tomorrow.